Crystal Springs is a rural congregation with the church building located several miles southwest of Harper, Kansas. With an attendance of 15-20, Crystal Springs functions in many ways like a small group, providing pastoral care for each other and reaching out to people in the community. Congregants include K-12 educators, farmers and medical professionals. 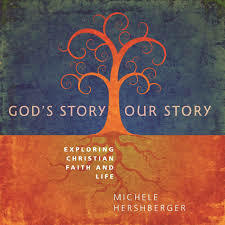 Pastor Josh Patterson reports that the Adult Sunday School class recently completed a study of Hesston College Professor Michele Hershberger’s book God’s Story Our Story: Exploring Faith and Life which generated high interest and new insights. This class is now following up with an article by article of the Confession of Faith in a Mennonite Perspective.